The July 7-born MS Dhoni – who turns 35 today – created a Dhoni dhamaka almost a decade ago when his victorious brigade returned to home soil with the inaugural Twenty20 World Cup trophy. In an interaction post that historic win, he had told Verve, “When I realised we had won, I was really happy. Ecstatic. I was on the top of the world at that point. I am a very emotional guy. Most of my decisions are taken from the heart. But I did not know how to celebrate the win.” He helmed another World Cup win later in Mumbai and many other wins – years and losses – have marked the period from then (2007) to now (2016). The erstwhile most eligible bachelor from Jharkhand – who can forget his cool quotient defined by his long-haired look – has morphed into a loving husband (to Sakshi) and doting dad (to Ziva). His long locks are a thing of the past and his short crop now has a distinguished salt-and-pepper look – speaking volumes about the passage of time and the trials he has faced. A few weeks down the line MS Dhoni – The Untold Story will take a look at the life of one of the most successful captains India has seen. Till then, this is why we think Captain Cool continues to remain cool. 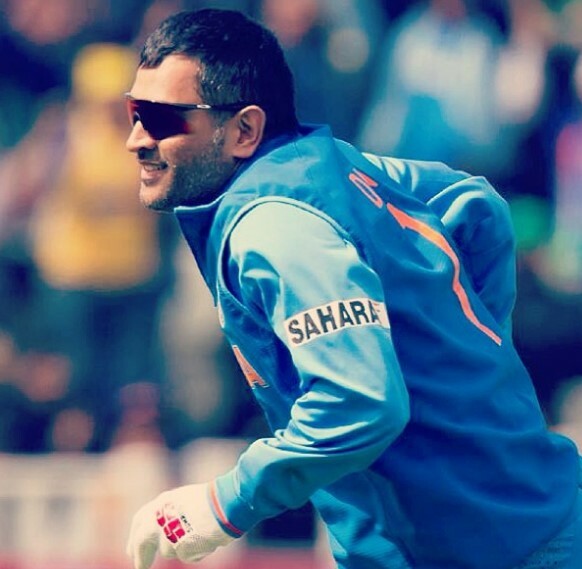 His on-pitch demeanour: Rarely – if at all – seen flustered, MSD seems to be at his calmest in the deepest crisis. So, when the hint of a frown creases his forehead, you know that things are not going well at all. Leading from the front: He has often risen to the occasion – who can forget his swashbuckling boundary-breaking strokes that have on many crucial occasions finished games? And yet, the leader more often than not has attributed success to the team, standing up to be counted when the chips have gone down for him and his boys. Daddy Oh! : His daughter Ziva is the apple of his eye, and the cricketing superstar is a real-life super-cool dad. Rider in the wind: His collection of bikes is legion. It will make any lover of two-wheelers drool. It is believed that the Confederate Hellcat X132 is the eye-candy of this collection! Brand smart: From Reebok, Titan, Aircel, Pepsi, GE Money, Reebok and more, India’s captain is the preferred brand ambassador for several brands. His strengths: celebrity value, credibility, much-loved status and aspirational quotient! Success story: Small-town boy turned cricketing superstar, MSD does not seem to have lost sight of his roots and the place from where his journey began. And there remains the comfortable feeling watching him stand behind the stumps – his keen eye roving across the field. Despite carping critics, the Mahi magic can still surprise one….